Svobodny Sokol ductile iron pipes DN 80-1000 mm are produced 6 meters long in complex with rubber gasket and with internal lining and external ptotective coatings according to All Union State Standard R (Russian national standard (ГОСТ)), ISO 2531, EN 545, EN 598. 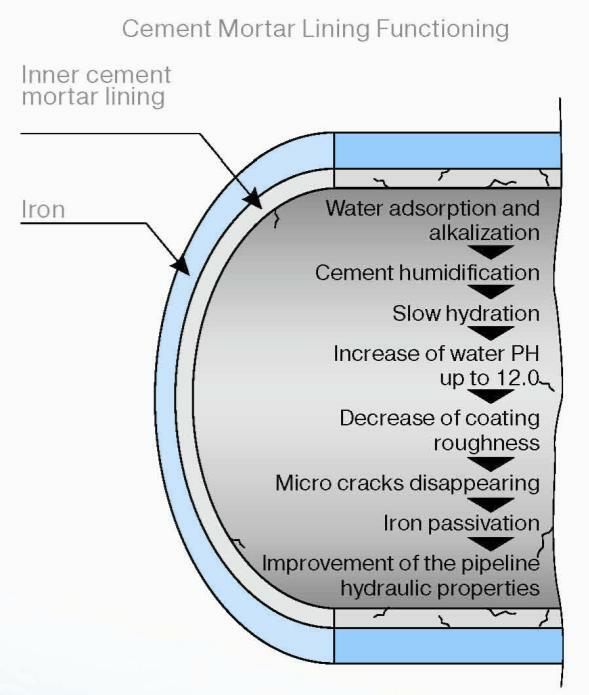 The inner surface of the pipe may have cement mortar lining (CML). Thickness and properties are according to ISO 4179. The unique properties of the cement mortar lining lie in both passive and active protective effect. in case of agressive soil or transported liquid other types of coatings can be used. It is recommended to consult the manufacturer on their application.